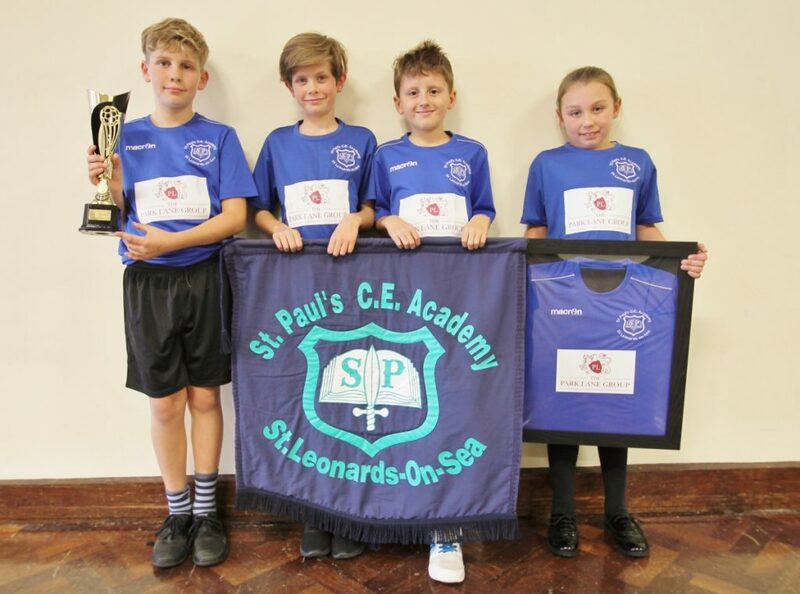 Pupils at St. Paul’s Church of England Academy in St. Leonards are sporting new football kit and netball kit thanks to The Park Lane Group. In an initiative to boost its sports focus the School compiled a wish-list of kit and equipment and contacted nearby companies to see if any would like to help with sponsorship. Quick to respond, we were eager to help and pleased to make a difference. We were even more thrilled to accept an invitation to visit the school this week to meet with pupils and see the new kit. 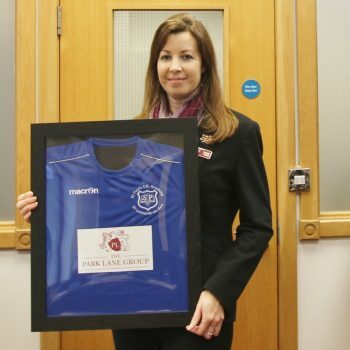 In a lovely gesture which has more than showed their appreciation, the School presented a framed shirt for The Park Lane Group – seen here with Fiona from our team. It is now on display in our offices. Thank you everyone and we wish you all continued sporting success!